Celebrate the 100th anniversary of the French Football Federation with Nike's Limited Edition FFF Centenary kit. If you can't get enough of retro looking football shirts, this is the place to be. Dig in! Today, Nike has released a Limited Edition France shirt to celebrate the 100th anniversary of the French Football Federation, which was founded in 1919, though Nike has only supplied FFF with kits since 2011. 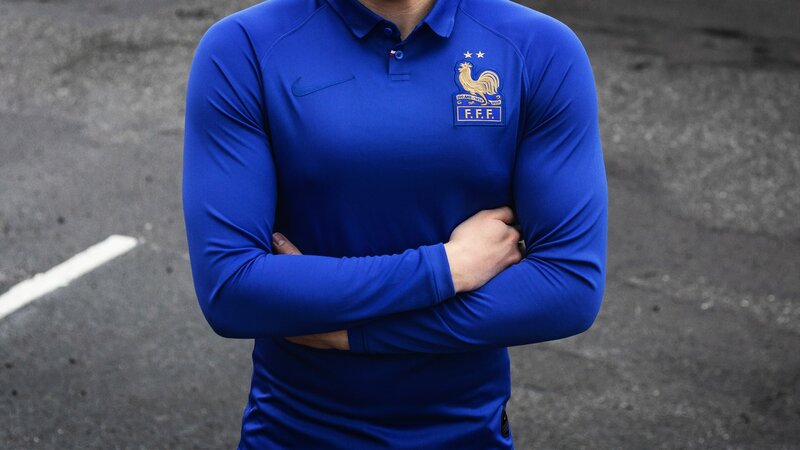 The France 2019 Centenary shirt uses a lighter shade of blue, like the Euro 2016 kit. On top of this, Nike applied its logo in a very subtle manner, creating a classier look. An overall clean and traditional look, the Les Bleus 2019 Centenary kit has a stunning polo collar with trim in the colors of the flag as well as a special 100 Year logo. The two stars sit above the French logo to commemorate France's two World Cup titles, 1998 and 2018. In total, the France national football team have won two FIFA World Cups, two UEFA European Championships, two FIFA Confederations Cups and one Olympic tournament. France experienced much of its success in four major eras: in the 1950s, 1980s, late 1990s/early 2000s, and mid/late 2010s, respectively, which resulted in numerous major honours. Under the captaincy of Didier Deschamps and three-time FIFA World Player of the Year Zinedine Zidane, France won the FIFA World Cup in 1998. Two years later, the team triumphed at UEFA Euro 2000 thanks to late Trezeguet and Wiltord goals. France won the FIFA Confederations Cup in 2001 and 2003, and reached the 2006 FIFA World Cup final, which they famously lost 5–3 on penalties to Italy. The team also reached the final of UEFA Euro 2016, where they lost 1–0 to Portugal in extra time. As you all remember, most recently France with Mbappé and Co. won the 2018 FIFA World Cup, defeating Croatia 4–2 in the final match on 15 July 2018. 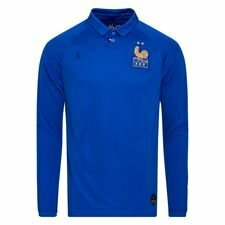 The FFF Centenary shirt will be worn when France play against Iceland 25th of March at Stade de France. Get the Limited Edition Nike FFF Centenary kit right here, before it's too late.